This concise, easy-to-use manual presents the most current and safe anesthesia formulas, protocols, and guidelines for office-based surgical procedures. 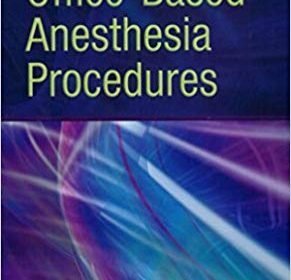 It offers guidance on how to set up and maintain a safe office-based anesthesia practice in line with standards of the American Association for Accreditation of Ambulatory Surgery Facilities, the American Society of Anesthesiologists, and the American Medical Association. The book covers all procedures commonly performed in an office setting, including cosmetic surgery, dentistry, ophthalmology, obstetrics and gynecology, gastrointestinal endoscopy, and post-bariatric surgery.